Motivate and reward your team members with this handsome teamwork lapel pin. This lapel pin is plated in gold, and includes hand applied enamel colors. Each pin is hand polished, includes a standard clutch back and is individually poly bagged. 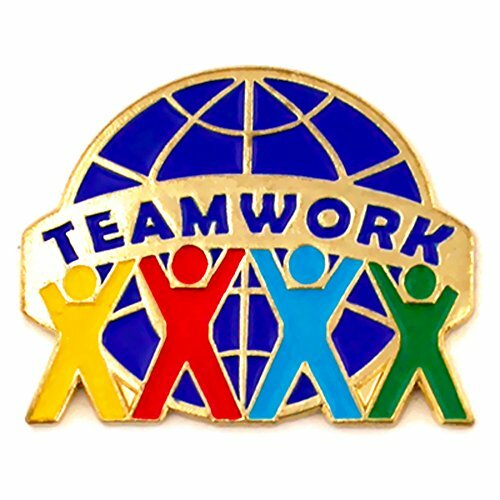 Motivate and reward your team members with this handsome Teamwork lapel pin. This lapel pin is plated in gold, and includes hand applied enamel colors.